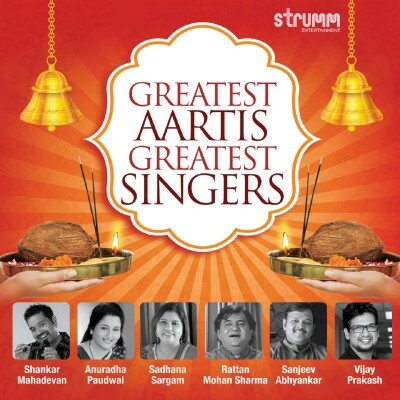 A brand new recording of 29 of the most popular Aartis sung by the leading devotional singers of today. Shankar Mahadevan adds verve to classics like Om Jai Jagadish Hare, Jai Ambe Gauri, Jai Shiv Omkara etc. At the same time it is refreshing to hear new recordings by Anuradha Paudwal of Aarti Kunj Bihari Ki, Jai Lakshmi Mata etc and enjoy the upgraded chorus section. Sadhana Sargam, Sanjeev Abhyankar and Rattan Mohan Sharma add depth and variety to the excellent cast of devotional singers.